Florida Gas, LLC is a privately held limited liability corporation. We currently service the Treasure and Gold Coast of Florida. Focused on expansion through acquisitions and internal growth. To learn more about investment opportunities with Florida Gas, LLC, please contact Treasure Coast Private Equity. Q. Can common units be purchased directly from Florida Gas? A. We are presently in the planning stages of stock offering stock options. 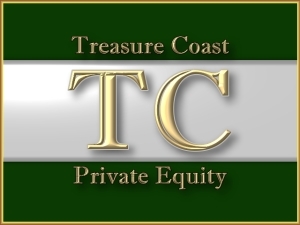 If you are interested in purchasing, we suggest you contact Treasure Coast Private Equity online at their website, http://www.tcprivateequity.com/. Q. What is the difference between a distribution and a dividend? A. A distribution is paid by a partnership to its partners, generally as a return of capital, which is tax deffered. A dividend is paid by a corporation to its stockholders and is generally taxable in the year in which it is received by the stockholder. Q. HOW DO I GET AN INVESTOR PACKET? A. At this time Treasure Coast Equity is handling all investment inquiries for Florida Gas Express, LLC. Please contact them directly for additional investment information and opportunities. Q. WHAT IS FLORIDA GAS EXPRESS' CORE BUSINESS? A. We are a full service propane dealer. We deliver propane to commercial, residential, agricultural and industrial customers such as motor fuel fleets. We offer a wide range of services for the use of propane, tailored to the individual needs of each customer.